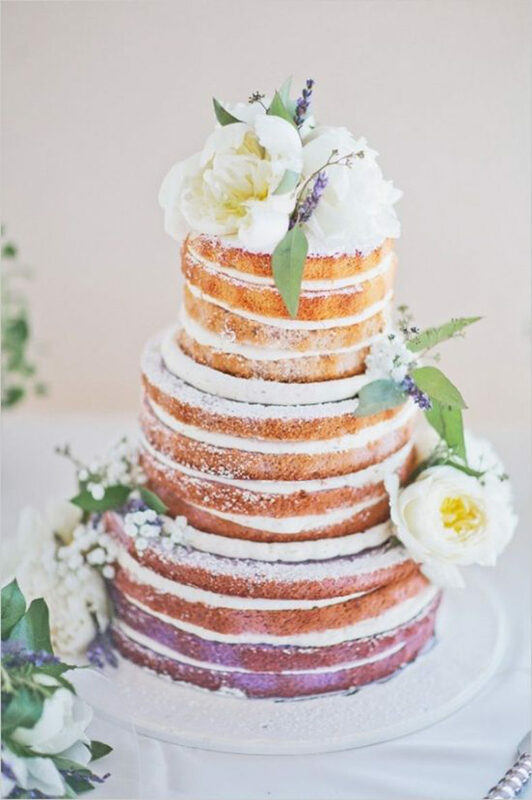 We love a heavenly scented wedding, and while your flowers will play a large part in this, we can’t resist these lavender cakes to indulge all your guests’ senses. Whether you’re opting for a cake adorned with sprigs of lavender, you want a lavender coloured cake or you want a naked cake that tastes of lavender, this trend is going nowhere fast. Lavender is a very strong-smelling herb so you don’t want to go overboard with it, but with just the right amount will send your guests into culinary bliss. 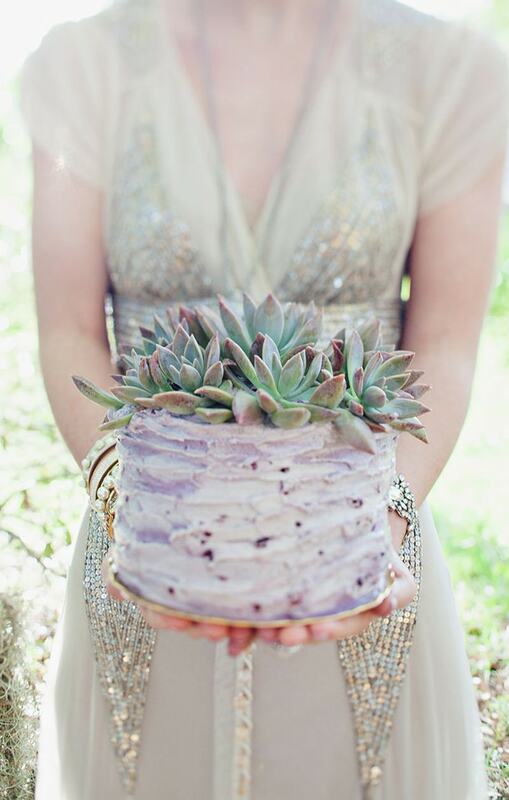 Even if you’re not adventurous to request a lavender flavoured wedding cake, you can still embrace the look by using the herb to dress up your wedding cake. You can also simply opt for lilac coloured icing for your cake to give it that lavender look without having any lavender flowers or flavouring to the cake. One of our favourites for this trend is not a cake at all, but a tower. 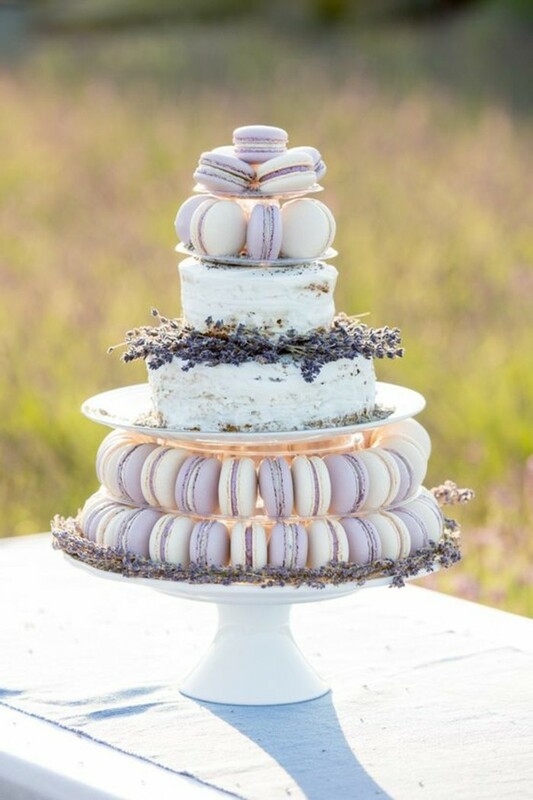 If the thoughts of a lavender cake feels a bit overwhelming to you, then create macaroon tower or a dessert table of lavender cupcakes. 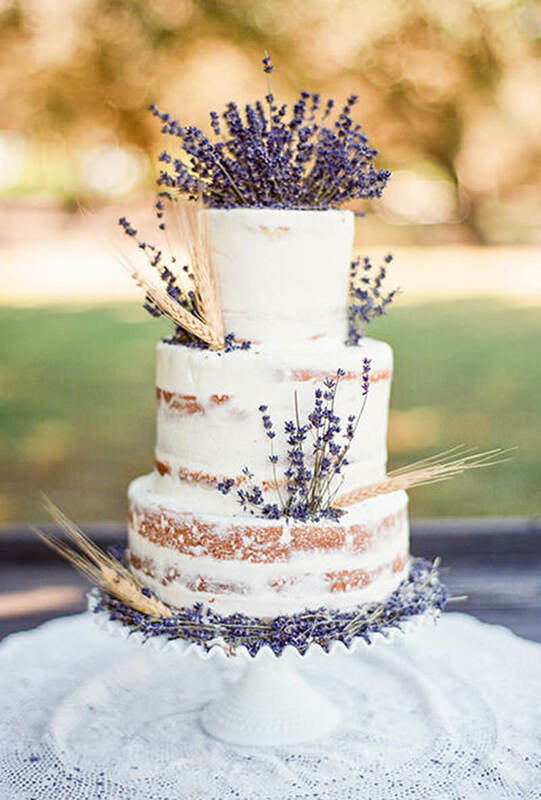 Lavender cakes are a particularly perfect addition to a rustic wedding. The injection of the sweet-smelling herb is ideal for a bride looking for natural details, and rustic trimmings. 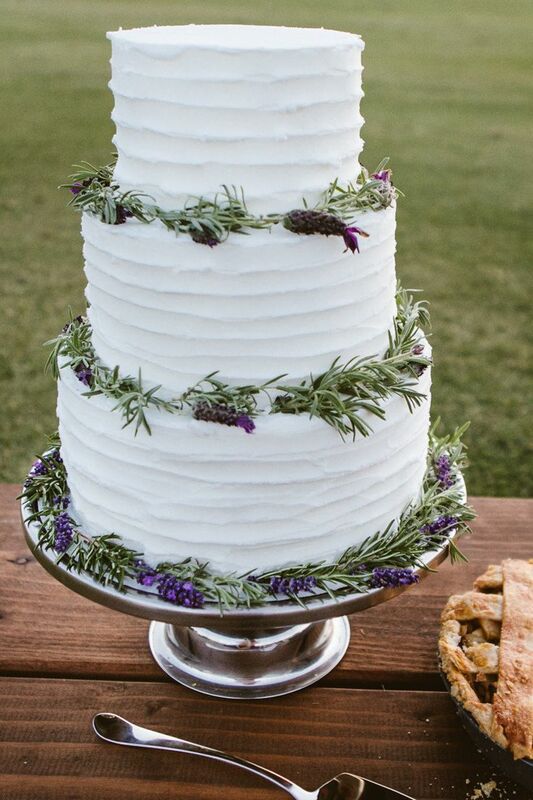 The lavender flowers look gorgeous on and around a naked cake, especially surrounded by greenery and white dusting on top. Whether you choose to go for a cake that's lavender in colour, smell, taste or all of the above, you'll be spoiled for choice with this gorgeous new trend.